Low literacy (“functional illiteracy”) and numeracy—that is, difficulties in using mathematics—in adulthood often lead to considerable limitations in the lives of those affected. 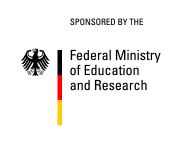 Thus, according to most recent estimates, around 7.5 million functional illiterates in Germany experience disadvantages regarding their earning capacity, health, and participation in social life. Besides those individual disadvantages for affected adults, the low basic education also causes considerable (material and immaterial) costs to society. To respond to this challenge of low literacy/numeracy, targeted education policy and pedagogical measures are necessary. To achieve this goal, extensive knowledge about the causes of low literacy/numeracy is essential. Unfortunately, no such extensive knowledge exists based on available research, especially regarding the factors causing low literacy/numeracy. The main reason for this is the general lack of longitudinal data. Both in Germany and the rest of the world, extant research is mostly based on studies seeking to analyze the phenomenon with a single instance of data gathering. They are hardly suited to research how low literacy/numeracy emerge—and under what circumstances they can be changed over time. 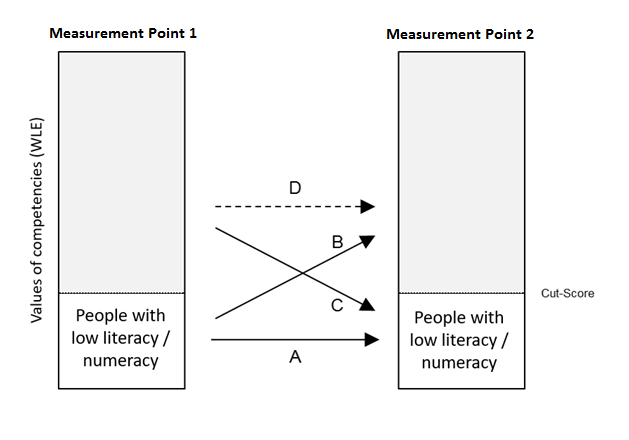 Changeability: How stable are low literacy/numeracy and how changeable are they? How many people are successful in acquiring competencies over time and thus leave the domain of low literacy/numeracy? How many people slip into this domain over time? Complex causes: Which individual (e.g., cognitive and non-cognitive basic skills), structural and contextual factors (e.g., employment, family formation) influence the probability of such growths or losses in competencies? Through the analysis of longitudinal data from two starting cohorts of the National Educational Panel Study (NEPS)—Starting Cohort 4 “Grade 9” and Starting Cohort 6 “Adults—the risk and protective factors for the development and change of low literacy and numeracy during the transition into adulthood and the further course of adulthood will be identified. The risk and protective factors may serve as suitable aims for political and pedagogical control measures. The starting point is an extensive review of the international state-of-the-art research regarding the complex causes of low competencies. This review of literature precedes the analysis within NEPS. Before risk and protective factors for low literacy and numeracy can be identified, the threshold values of low levels of competencies need to be transferred from other studies (e.g., PIAAC, PISA, leo) to NEPS. This will result in a reliable way to identify people with low levels of competencies. Subsequently, their change over time will be tracked and the following questions will be asked: Under what circumstances do their competencies stay at this critically low level over time (path A)? In addition, it will be studied which general conditions (e.g., further training, change of job) or which individual characteristics (e.g., migration background, motivation) will lead to an increase in competencies above the critical level (path B). Also, it will be analyzed under which circumstances an initially acceptable level of competence will fall below the critical threshold over time (path C). Another question regarding aspects of prevention is which factors facilitate the upholding of high levels of competencies (path D)—even in times of unfavorable conditions such as sickness or periods of unemployment.